Knowing your ideal audience is one of the keys to successful content marketing and conversion copywriting. In fact, it's actually one of the keys to successful businesses in general! That's why narrowing in on your ideal audience is so important. How do you know what to say if you don't know who you're talking to? Ok, that was rhetorical - but really, if you don't know who you're talking to (and in most circumstance, who you're selling to) you're not going to be able to connect with your audience. So if you've found yourself spending hours (or $$$ because you hire out content creation), you might want to revisit your ideal client. WHAT ARE THE DEMOGRAPHICS OF MY IDEAL AUDIENCE? Am I trying to reach men or women? (It's okay to say both.) Are they young and getting started in life, or more established? Are they educated? Where do they live? What do they do for a living? All of these questions help you begin to picture your ideal audience, but dig further. Get as specific as you possibly can as you determine what your ideal audience looks like. WHAT DOES MY IDEAL AUDIENCE NEED? Or another way of putting it is: how can I help my ideal audience? This is more than just the services or products you offer, though they can certainly be a factor. Think about how the content you create can help your audience. Offering up concrete value in your content that your ideal audience actually needs is a fantastic way of reaching potential clients and customers - and positioning yourself and your brand as experts in your field. WHERE DOES MY IDEAL AUDIENCE HANG OUT? Creating content is just one step of content marketing. You also have to get the content to your audience. Should that be on Facebook? LinkedIn? SnapChat? Just because you prefer one channel doesn't mean that's where your ideal audience is. Understanding who your audience is will help you determine where they hang out - and how you can reach them. Still not sure who your ideal client is? 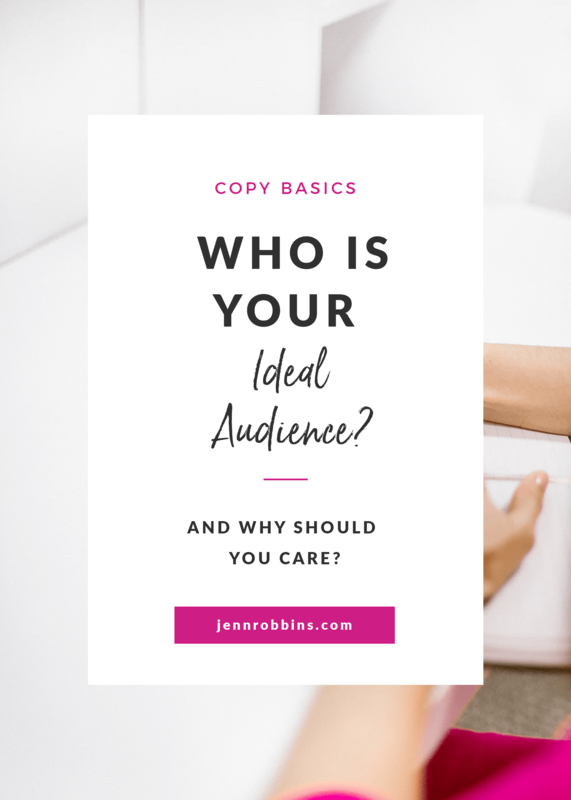 Download my free worksheet and start narrowing in on your ideal audience.